A blog about crazy baking adventures in the kitchen and sometimes elsewhere! You know those things that are so easy that often they are made by kids? Rice crispy cakes or chokladbollar are good examples. We can all marvel at how pretty advanced mousse cakes or chocolate desserts look and listen fascinated to words like bavarois and joconde but sometimes you just want something simple and fuss free. A bonus is that often the things that are fuss free and simple are also very classic, like apple pie or banana bread. Things you love and grew up with, and because of this no one usually says no when you offer one/a slice/a piece. Coconut macaroons are one of those things that’s so easy to make that I imagine many kids make them. Especially if you use Swedish recipes they’re very straightforward (stir, divide on baking paper, bake, done). I added lime zest and juice for extra tang, arrack for added depth of flavour and currants for an interesting change in texture and concentrated pockets of more sweetness. Normally macaroons are almost a bit too sweet and coconut-y, it’s not really much to break off the flavours, but the lime adds some fruity flavours and some acidity that nicely breaks off the rich coconut flavours. The result is a very balanced macaroon that’s very thought through in terms of flavours and textures. I also decided to use muscovado sugar instead of white sugar because it’d add yet more interest and it’d go nicely with the arrack and the lime, adding more depth and slight caramel notes. Put the oven on 175 degrees C/347 degrees F (150 degrees C/302 degrees F if you’re using a convection oven.). Stir everything together and let the mixture sit for 15 minutes. 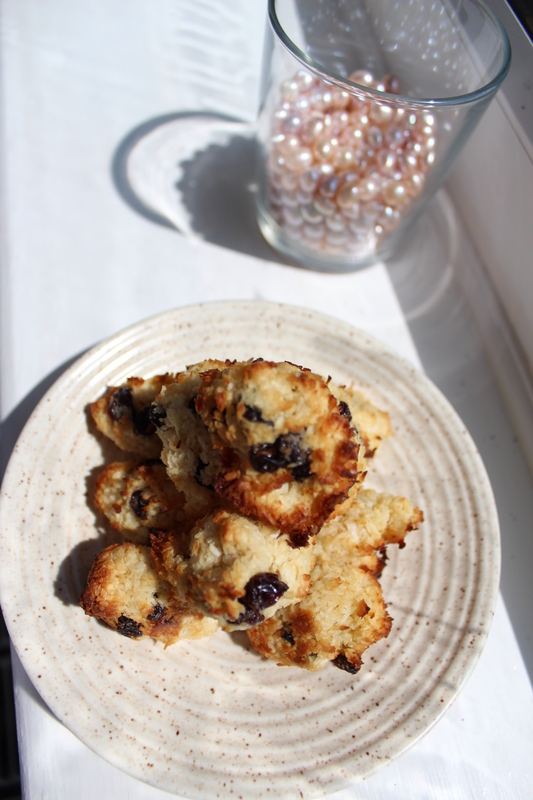 Shape into little balls using two spoons and your hands, put on greaseproof paper and bake until golden brown. 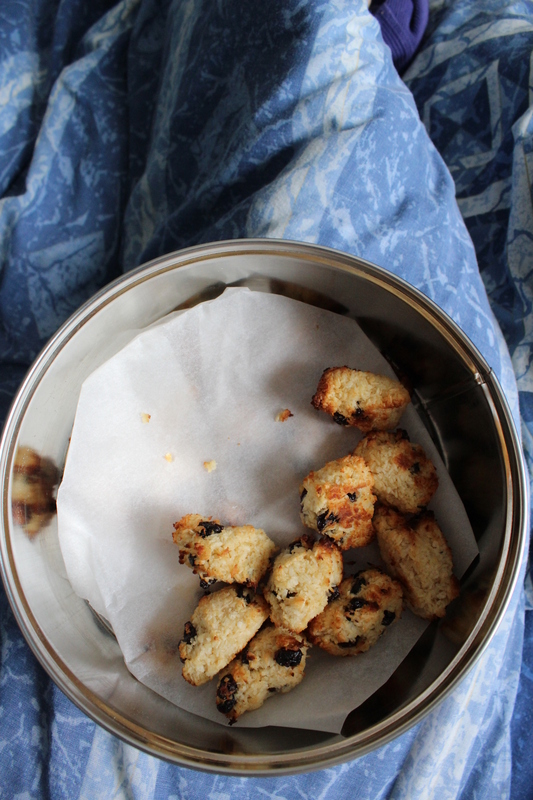 This entry was posted in Biscuits and tagged arrack, coconut macaroons, currants, lime macaroons, macaroons. Bookmark the permalink. Tasty! Also, one of them looks like a dog’s face! Just enter your e-mail address to follow me!